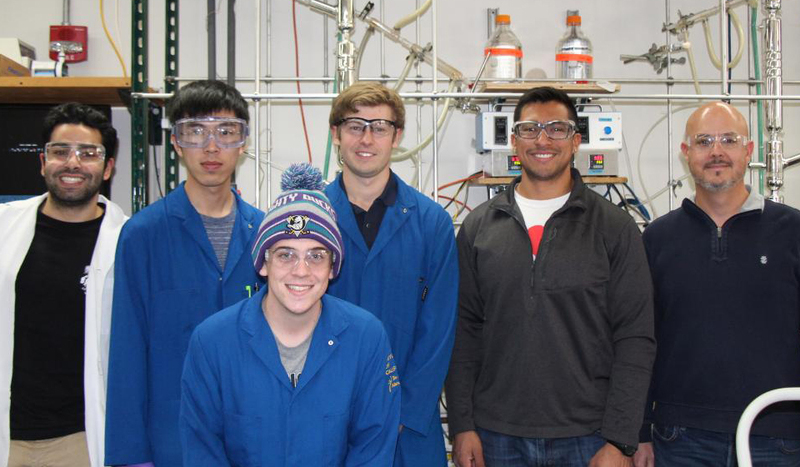 The Undergraduate Rinker Lab at UC Santa Barbara recently welcomed the return of an alumnus, Jose Navarrete, PhD 2017, as Undergraduate Lab Manager, to continue the goals of the Chemical Engineering department. ChE’s goals with the lab are to design and construct lab experiments that reinforce fundamental Chemical Engineering principles; expose students to industrially-relevant lab situations and provide practical training on modern, automated equipment; and create a functional, adaptable, and hands-on learning environment that will evolve with the Chemical Engineering profession. The Rinker Endowment, named to honor Professor Emeritus Robert Rinker, who was the department’s first faculty member and former Associate Dean for Undergraduate Programs in the College of Engineering, provides funding to purchase new equipment and begin upgrades to the undergraduate lab. Navarrete is excited to continue building on prior success with upgrades to expose students to newer technologies that provide a better sense as to what they will actually encounter in industry. Navarrete started his education at Texas State University, where he where completed an undergraduate degree in chemistry. He arrived at UCSB in August 2012, to pursue a PhD in physical chemistry in the Department of Chemistry and Biochemistry, and joined Professor Martin Moskovits' research lab in winter 2013. Upon returning to UCSB, Navarrete has found a unique opportunity to share his passion for teaching and mentoring undergrads. ChE Professor Michael Gordon, Robert Rinker Founders Chair, works tirelessly to enhance the undergraduate programs, and the departments first tenure-track teaching professor, Joe Chada, focuses on developing an effective teaching pedagogy and continual improvement of the Rinker Undergrad Laboratory. Navarrete’s previous experiences provide an ability to offer students a hands-on learning environment. “I was fortunate to have been a teaching assistant for the honors general chemistry lab during my time as a graduate student, where I was given the freedom to design engaging experiments and the opportunity to explore classical chemistry experiments,” Navarrete said. Many of the students commended the hands on component and freedom to explore experiments in a trial and error procedure, rather than following established protocols from a lab manual. One of the more interesting challenges for Navarrete has been to create exciting and hands on experiments for the students that also ensure the experiment correlates with coursework and satisfies the students learning needs. This endeavor encapsulates a piece of advice that Navarrete recommends for all current and future undergrad students at UCSB. 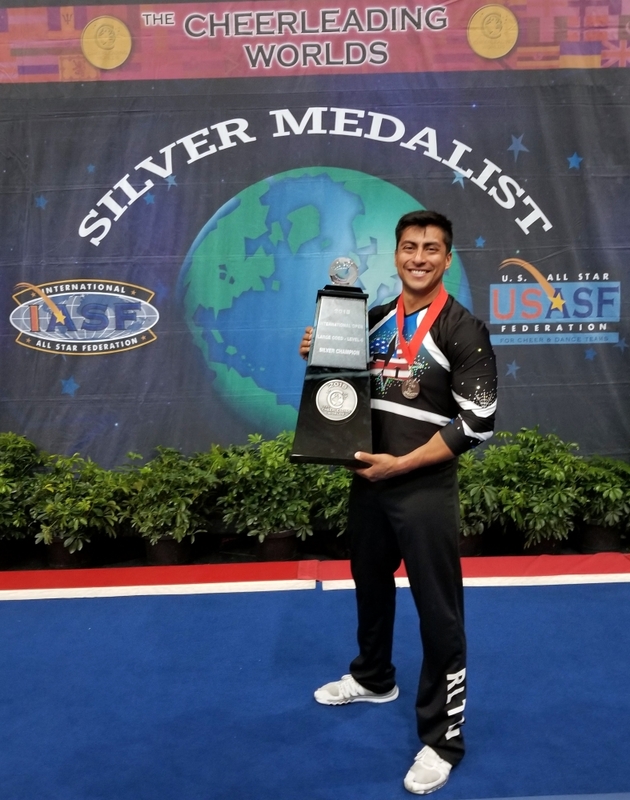 Having been a club rugby and cheer team member at Texas State University, and Santa Barbara powerlifting mentor and UCSB cheerleading coach, Navarrete continues to stay active when he’s not in the lab. As a founding partner of New Heights Recruiting, he further strives to enhance opportunities for student success. 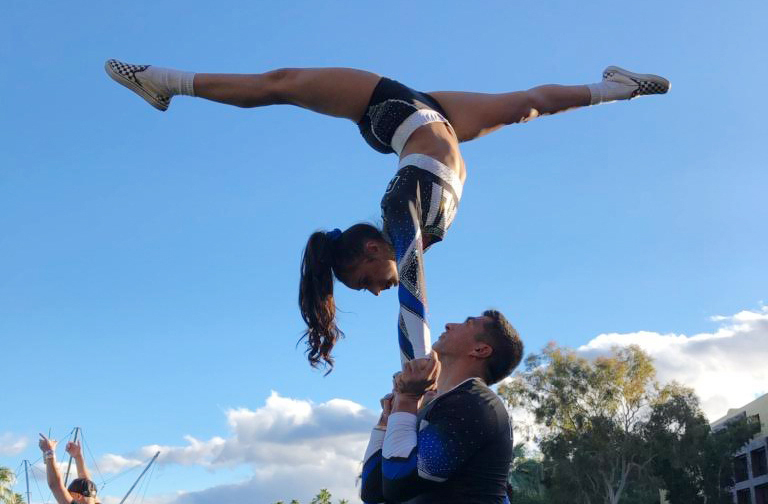 Navarrete and three co-founders, aim is to provide high school cheerleaders with an avenue to connect with college cheer programs to be recruited by collegiate coaches, and find scholarships. Lab group photo (from left to right): Farzan Fallah, Carl Song, Blake Taylor, Pavel Shapturenka, Jose Navarrete, and Prof. Michael Gordon. Lab photos by Melissa Walker. Cheer photos supplied by Jose Navarette.